Sainte-Anne-d'Auray, a major pilgrimage destination in Brittany, has a restful, grassy municipal campsite just a quarter of an hour's walk from the basilica. Motten municipal campsite is open from June to September and accommodates tents, caravans and motorhomes on 115 spacious pitches. There are no mobile homes on this peaceful, green, partly-shaded two-hectare site. 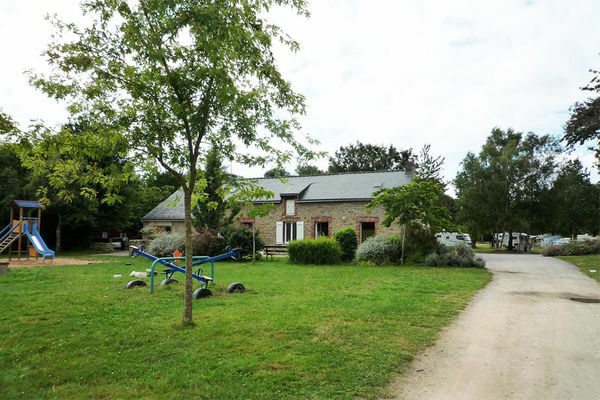 It has tennis courts, pétanque, children's play equipment etc. The campsite has some facilities for leisure activities that are especially popular with families who holiday here. Free wifi is available at reception. A 15-minute walk will bring you to the magnificent shrine of Sainte-Anne-d'Auray, which receives 800,000 visitors a year from France and overseas, most of them on a pilgrimage. The superb beaches of the Gulf of Morbihan, Carnac and Quiberon are only 25km away, another reason why this is such a great place for tourists.